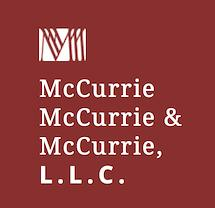 Located in Kearny since the 1930s the McCurrie family has provided legal services to the residents of North Eastern New Jersey. During those years we have developed strong ties to the Kearny community, with three generations of our family calling Kearny their home. This dedication to community we bring to each of our clients. Our attorneys provide both accessibility and individual attention for each client. We offer a full range of services to meet your legal needs, from simple wills and traffic tickets to complex litigation and appeals. Personal injury that has caused you pain and suffering, caused you to miss work and created medical bills you don't have insurance to cover. Credit came too easily and your source of income failed and now you've got creditors calling constantly-you need to file bankruptcy. A family member has died and you're in charge of seeing that the affairs are wrapped up or you've realized you need an estate plan to at least name guardians for your children. Despite all your efforts, your marriage is just not working and you need to consult with someone to make sure you end up all right financially after a divorce. You're trying to but or sell a house and the real estate agent is telling you there's a problem with the title. These are the kinds of things everyone needs help getting resolved. Make your next call to our office and arrange to meet with one of our qualified attorneys who can answer your questions about issues related to any one of the areas described above. Contact us today. From offices in Kearny, the New Jersey lawyers of McCurrie McCurrie & McCurrie represent clients throughout North Jersey, including Bayonne, Jersey City, Newark, Nutley, Milburn, Montclair, Hackensack, Englewood, and Hoboken, and residents of Hudson County, Essex County, and Bergen County.